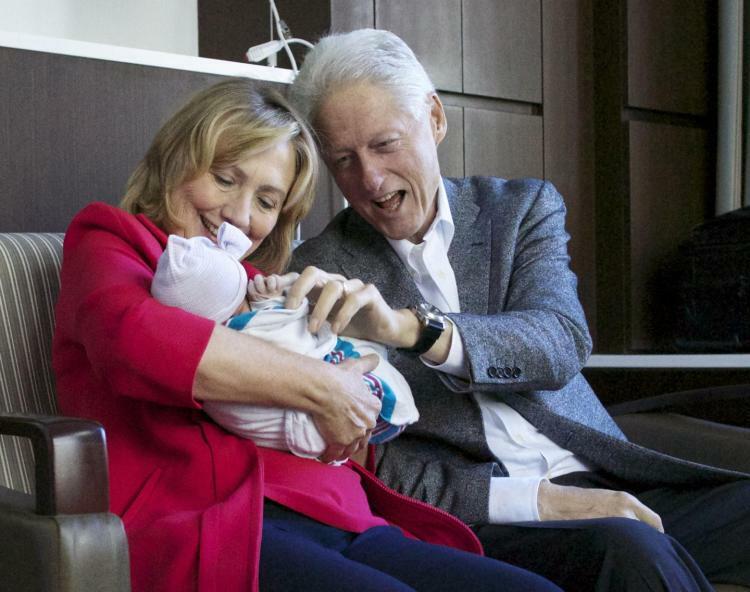 It seems good times are here and Clinton family is in celebrations as Hillary Clinton’s 36 years old daughter Chelsea Clinton gave birth to a second child- a baby boy, Aidan Clinton Mezvinsky. The arrival of son was announced by Chelsea late Saturday morning on Twitter. Now she is a proud mother of 2 kids- girl Charlotte, 2 years old and baby Aidan. The second pregnancy was announced by Chelsea in late December and she has been campaigning on behalf of Hillary Clinton.